We thought this was your last chance to win… but we have special surprises. 🙂 But this isn’t about that.. it is about this. Does that make any sense? Sure it does. 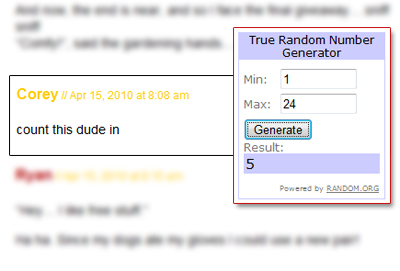 Congrats to Corey for winning the Ethel Gloves giveaway – well… hopefully he will choose Mechanix Gloves… dude. Hope they come in handy!